Casa de Paz offers free housing and support for families and individuals recently released from the immigration detention center in Aurora, Colorado. The founder, Sarah Jackson, opens her home to families visiting the detention center, arranges volunteers to visit detainees, and provides housing, meals, and supplies to recently released men and women. Casa de Paz also arranges transportation and support for children visiting detained parents if the other parent or guardian cannot accompany them due to undocumented status. 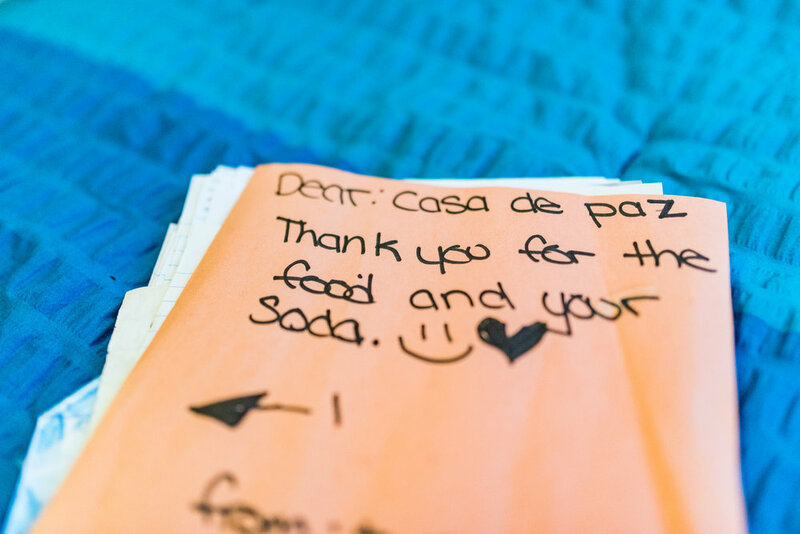 In short, Casa de Paz is providing the most basic essentials—housing, food, and company—to some of the most marginalized and vulnerable people there are. Sarah Jackson, founder and director of Casa de Paz. It is common to wonder what to do in the face of injustice. We are surrounded by different opportunities for response, from protest to turning away at the weight of what we’ve witnessed. Several years ago, Sarah Jackson went on a trip to the US/Mexico border with a humanitarian aid organization working on immigration issues. She spoke with deportees. She attended deportation hearings through Operation Streamline. She learned about people’s reasons for migrating, and the dangers they face in doing so. Then she returned to Colorado and opened her home. On its face, this idea is so simple. She lives near the detention center, and is now a regular visitor there. Many of the lawyers now know her name, and her phone is constantly at her side, awaiting a call that someone will be released without a place to go. Word of mouth sends news of Casa de Paz to family members that there is a clean, welcoming, and free place for them to stay while they visit their loved ones—sometimes after traveling hundreds of miles and in financial hardship. This is a quietly revolutionary act. 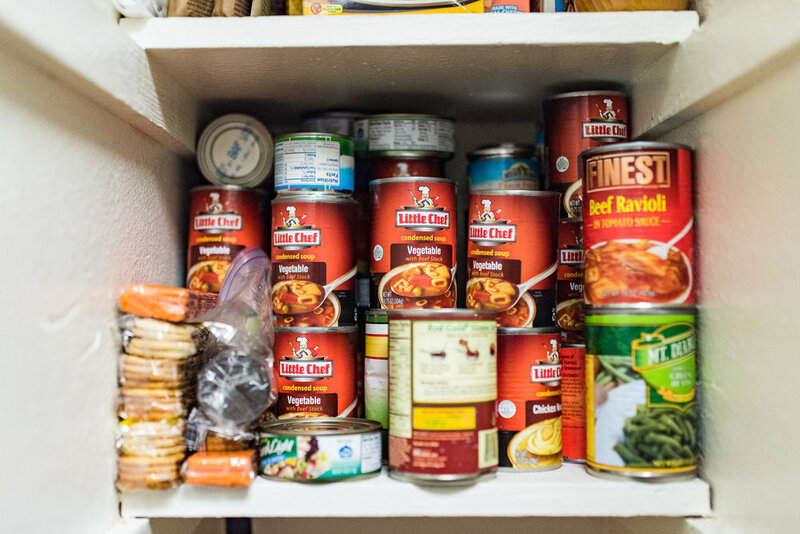 Volunteers provide food for meals, as well as contributing to the basic necessities of housing people: cleaning supplies, hygiene products, snacks for the road, and more. Occasionally a special need or event arises. A philanthropy group recently refurnished and redecorated Casa de Paz, as well as providing over 80 backpacks, which Sarah gives to released detainees who would otherwise have to carry their belongings in the clear plastic trash bags provided by the detention center. Other volunteers came together to write 400 Christmas cards for detainees, as well as purchasing M&Ms for every single person at the detention center on Christmas Eve. Sarah chose to send candy after hearing from a previous guest that many days during his incarceration he would wake up hungry and go to bed hungry. José, a volunteer and former guest at Casa de Paz. Guests at Casa de Paz have had many backgrounds and experiences. They have come from many parts of the world, from Central America to Africa. Some have been released after the court determined that they had legal claim to remain. Others were family members visiting before their loved one was deported. Engaging with this issue means hearing stories of systemic injustice, inefficiencies, and personal hardships. The detention center is run by a private corporation. 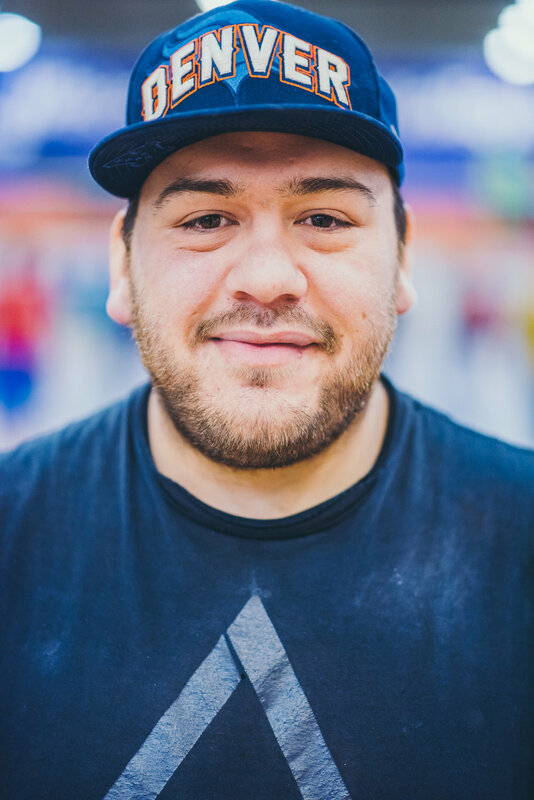 We met a recent Casa de Paz guest named José, who was detained for mistaken identity and spent over three years incarcerated before an ICE official took an interest in his case and had him released. During that time, he suffered a fall that left him unable to walk, and received extremely poor medical attention and counseling. He has been able to regain mobility since his release. Regardless of experience or background, Casa de Paz volunteers provided warm food, a listening ear, and a comfortable place to stay along the journey. When we have asked friends and passersby how many volleyball teams of 95% Latino players the Denver area would support, most people have guessed between seven and twenty. Volleyball Latino has 72 teams. Their dues keep Casa de Paz open and thriving. For many participants, the volleyball league is nothing more (or less) than any sport group: it’s camaraderie, competition, and fun. There is an additional benefit of being a welcoming community space, where kids occupy part of the gym and non-athletic friends and family can hang out and pass the time as well. But for the four tiers of athletes, the league is about getting serious about volleyball.